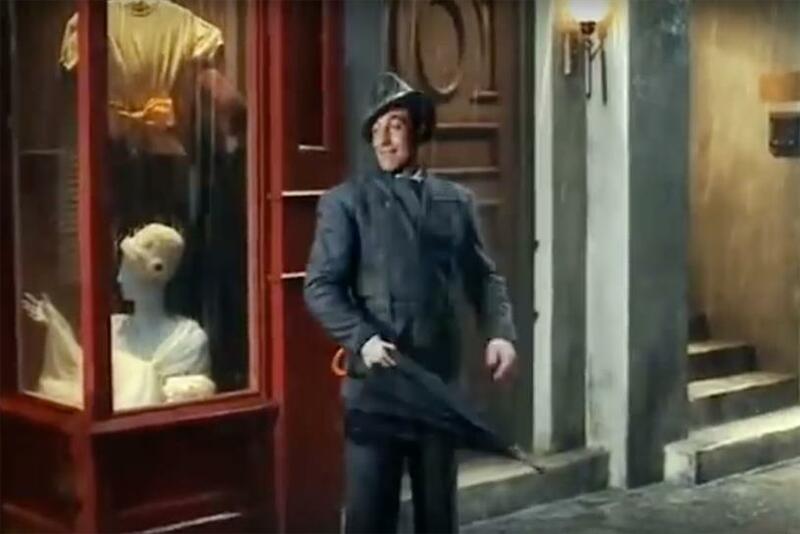 What are the top 50 best celebrity ads of all time? In this five-part series, Hamish Pringle and Roger Ingham reveal all. Celebrities are a product of the public's making and correspondingly also capture their imagination. It's little wonder that advertisers have been keen to harness celebrities' power in an attempt to improve their businesses, reputations and profits. As part of Campaign's 50th anniversary, we asked Hamish Pringle, the author of Celebrity Sells, and Roger Ingham, from Data Alive Ltd and an IPA research consultant, to draw up a definitive list of the most effective use of celebrities in UK ads of all time. Here's numbers 39 to 30. Campaign drove a 73% increase in recruits, dramatically reversing a seven-year decline in police numbers. This exceptional result has saved UK taxpayers more than £30m. In 1994, Surf was delisted by Sainsbury's and had just a 2% market share. By 1999, Surf had achieved a 7% share and delivered more than £8m in bottom-line profit. The campaign generated a short-term payback of £1.04 for every £1 spent. White’s work generated a ROMI of 1.28:1, with payback of the project’s total costs expected to be achieved three years earlier than expected. The activity gave farmers and dairies a £20.8m return on their £8.2m investment. On an advertising investment of £10.6m across September to December 2002, this campaign resulted in a revenue ROI figure of 1.7. The combination of pre-launch and post-launch activity generated an additional £53,000,000 worth of sales. The campaign generated a £1.91 return for every £1 invested as well as £4.07m additional profit. Econometric modelling estimates that communications have produced a return of £10.76 for every £1 invested. After two years, 95% of claimants had switched to electronic payments, compared with 43% previously. Over seven years, the campaign is estimated to have delivered payback of £29 per £1 spent. IPA Effectiveness Case Histories 1980 – 2016. Effectiveness determined by grade of award covered – ie grand prix cases identified as being the most effective. Six grands prix (note all these cases are included in ‘gold’ total); 31 gold; 36 silver; 24 bronze. Total celebrity cases 91. Total award-winning cases 1350, ie 7%. The top 50 ranking is based primarily on the level of award given to the case history. However, within the grand prix, gold, silver and bronze categories, some subjective judgement has had to be applied. As the analyses have become more sophisticated and the judging has become tougher, the recent cases have been put above older ones. The level of return on marketing investment (ROMI or ROI) takes precedence over other ‘softer’ measures of effectiveness. The author agency names are as listed in the IPA EASE database; however, there are several instances where the actual author’s name has been subsumed by takeover/merger, eg Dare/Miles Calcraft Brigginshaw Duffy.